Bfly is getting a makeover! 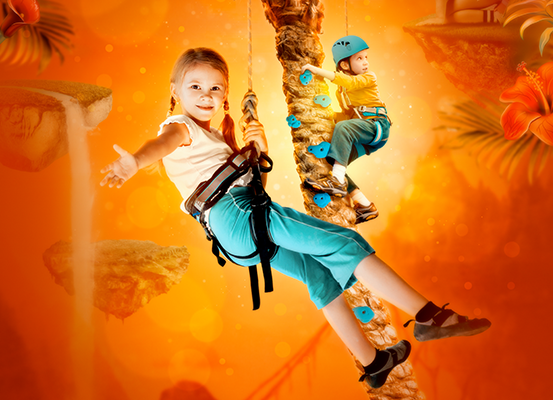 Our Arbre-en-Arbre treetop course is the only one of its kind in that it’s the only indoor one in North America. Explorers will have to build up their self-confidence to meet this 8-foot high aerial challenge. Cross over suspension bridges, explore a rope island and hurtle down our 33-foot zip line, this activity is open to the young and old alike. Are you an adult and feeling adventurous? You can have a go too and take on the challenge of the Arbre-en-Arbre course yourself! You heard right! 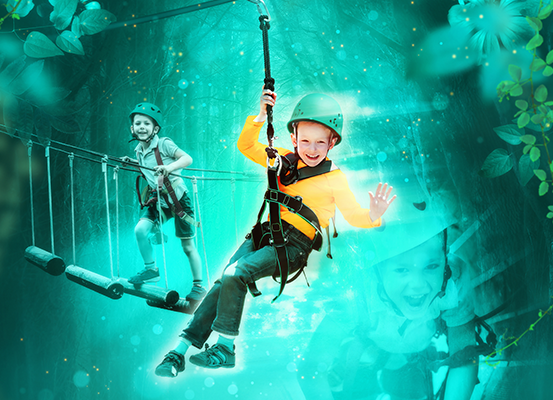 Our treetop adventure is specially designed for kids but adults are welcome too. 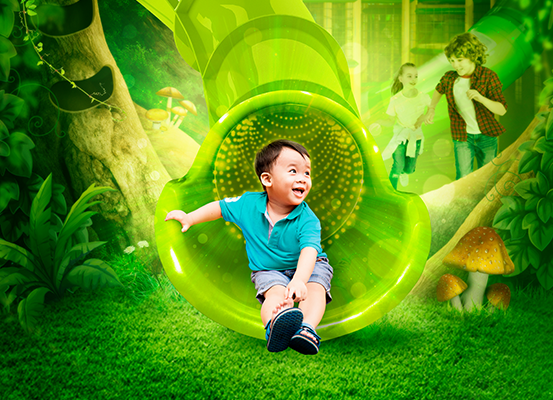 This enchanted forest-inspired play area on three levels is packed with action! The ideal activity to stretch your legs and let off some steam. Climbing, overcoming madcap obstacles and whizzing down an illuminated slide are just a few of the many surprises that await in this magical recreational area covering over 2,000 square feet. Will you be bold enough go all the way up to our secret butterfly observatory? Our magical playground also features an area specially reserved for toddlers aged three and under. With easy access for parents, it’s perfect for watching over and interacting with your little ones. 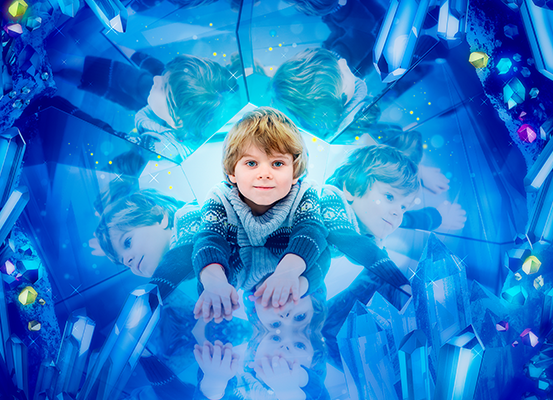 Have fun trying to find the exit to our cave of crystal mirrors. Will you fall into one of Grubus’s traps? This short, high-thrill activity is a true must and will make your experience complete! The secret world of butterflies abounds in floating islands. For explorers young and old alike, this activity will put your perseverance to the test in order to reach the summits of our various climbing stations. Come and scale one of our two 14-foot walls. Who hasn’t dreamed of climbing a palm tree? We have three palm trees for you to ascend, it’s family fun guaranteed!